Exercising at home has its perks. Not only does it prevent pocket burns from the exorbitant gym membership, but integrates the workouts with daily chores. Lifting, stretching, rotating etc. can easily be synced to our everyday activities. Hence one can fully incorporate a few calorie-burning activities at home that produces similar results to workouts. Painting is an all-round mental and physical warm up. Painting elevate heart-rate, thereby burning calories. Although the speed of calories burning is slower than the conventional process. Mentally it keeps one active as well as rejuvenated while physically requiring one to stretch, squat, and move head constantly. One ought to be careful about how their head moves so as not to strain the neck. Just as Vibration machines create tremors through the body, power washing is an overall workout taking one to stretch, squat and lift objects overhead. Power wash puts pressure on the posterior regions like the glutes but also helps working on abs and arms. It takes tremendous balance to keep water gushing through a held pipe while holding up heavy furniture. Power-washing can keep one preoccupied for a day. Vacuuming not only strengthens the triceps through stretching, but like power-washing, involves squatting, lifting and moving heavy objects around, such are sofas, and study-desks. It is sufficient to provide the benefits of a quick session. One should carefully attempt to move heavier objects or take help. Raking Leaves can be boring but has overall benefits of exercising. From dragging leaves to squatting down for gathering, there are advantages to burning calories. Instead of taking help, one can rake by squatting and dragging leaves from both sides alternatively, for equal muscle use. As a seasonal task, mulching affects similar muscles as raking but requires heavier pulls. It is considered a full body workout involving loading and unloading sacks, squatting to spread mulch with hands or rake and relocating continuously. Best done alone for better workout results. 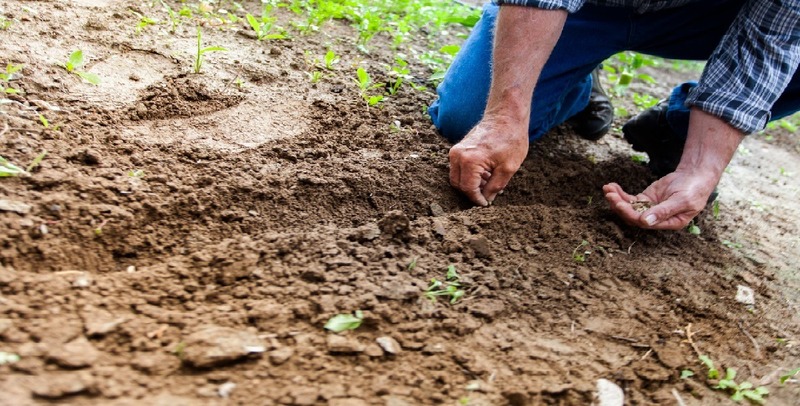 Pulling deep-rooted weeds from ground for hours can sore muscles much as a gym. Continuous rotational movements, squatting, pulling, makes up for an all-round upper body workout. Make sure to keep gloves and herbicides handy. Heavy objects require squatting, wrenching, rotational movements, lifting and pushing, thereby a gigantic workout session. In order to clean a garage, it has to be emptied for restocking, which alone requires tremendous energy levels. The whole process takes the normal 90 mins. of a full gym routine. Garage cleaning can sweat out the body and muscles at maximum. Chain-sawing or manually hacking a tree down is an exceptional workout for the upper body and balance. Best advice is to know the techniques of woodcutters and stances to protect the lower back. It is monstrous task to wrench them out with bare hands. Removing fences are at par to lifting as each of them are rooted to the ground artificial bases. It is best to be careful around the technique in order to lift the anchored fence. Squatting perfectly and rising up all while maintaining body balance, requires great effort.